Open-road tolling on I-90 and I-390 is the result of the Open Roads for a Faster Future program. 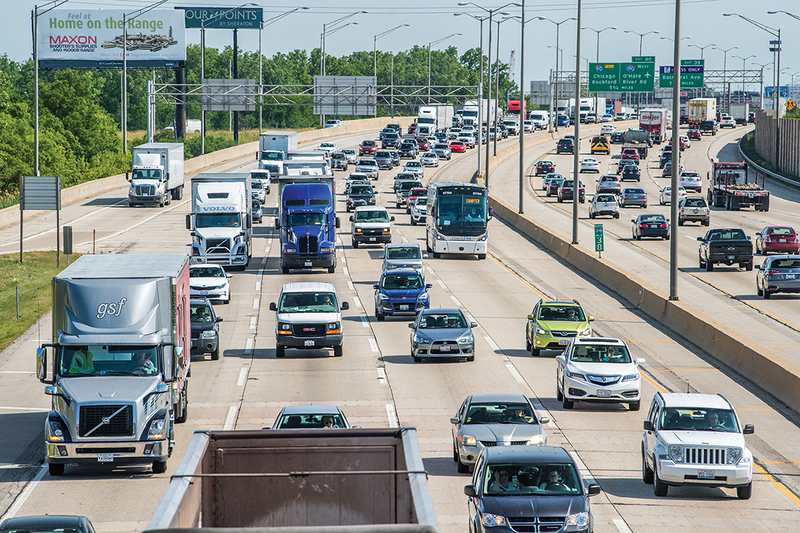 In recent years, the Illinois Tollway has undertaken a massive capital improvement program designed to improve mobility, relieve congestion and reduce pollution in the state. The Tollway’s congestion–relief program, Open Roads for a Faster Future, initiated in 2004, enabled rebuilding and restoration of nearly the entire Tollway system and converted mainline toll plazas to barrier-free open-road tolling. On the heels of that successful program, the Tollway in 2011 approved a 15-year, $14 billion capital program, Move Illinois. The program, which addresses additional system needs, entails building or rebuilding numerous bridges and interchanges, and widening miles of roadway to address congestion, safety, technology and to ensure the system remains in a state of good repair. A centerpiece of the program has been the rebuilding and widening of the Jane Addams Memorial Tollway (I-90) as a state-of-the-art corridor. As a “smart road,” the I-90 section uses wireless speed sensors, weather stations and dozens of cameras to collect data and transmit it to the Tollway Information Management center. There, a traffic team analyzes the data and updates digital information signs along the roadway in real time. The early alert of crashes and closed lanes give drivers time to merge into open lanes, reducing delays and improving traffic flow. Mega capital programs like Move Illinois deliver greater safety and mobility for motorists. Their sheer size and complexity also present myriad challenges for toll authorities and their program partners. 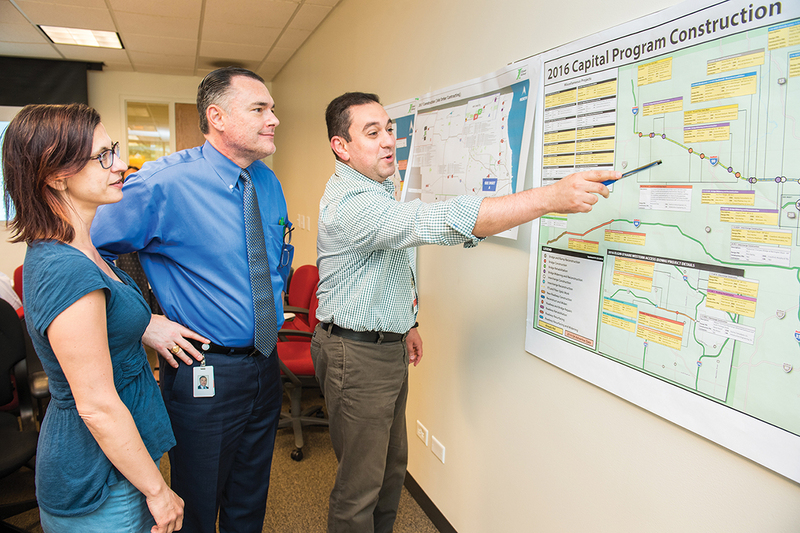 The Illinois Tollway already was using a construction management software product to manage Move Illinois’ design phase work, review of design milestones and field work, but that product provided fewer capabilities than the program’s massive scope demanded. The Tollway and its program management consultant, HNTB, believed another product might offer greater breadth and flexibility. Believing a highly configurable, off-the-shelf solution could work as the system of record for the mega program, HNTB evaluated possible web-based construction management tools that would enable comprehensive administration of the program’s engineering aspects. 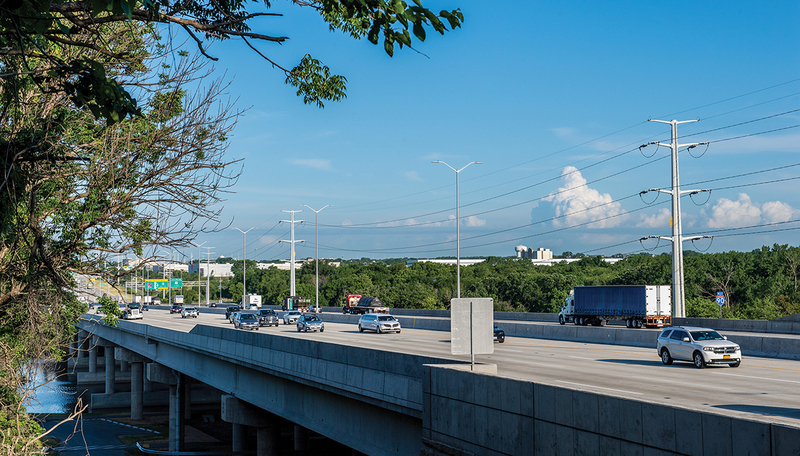 HNTB met with Tollway department heads, staff members, designers and other stakeholders who would need to interact with the software, using information gleaned from those meetings to develop a detailed set of RFP requirements. Potential systems were scored based on their cost-effectiveness and ability to meet wide-ranging imperatives. Among other goals, planners looked for a new system that could provide cost and contracts management. Paul Kovacs, P.E., the Tollway’s chief engineering officer, said the team also sought a tool that would operate on a “ball-in-court” basis. “A system that would track how an item moves through the program would help keep people on task and make everyone aware they need to respond in a timely fashion,” Kovacs said. The team ultimately settled on e-Builder, a software that combines capital planning, integrated cost management and controls, process automation, robust reports and dashboards, scheduling, and bid and document management. The I-90 reconstruction included a new, expanded Fox River Bridge. With more than 900 firms involved in the Move Illinois program, having a broadly capable construction management platform has given designers the ability to streamline and organize in a constantly changing, sometimes hectic environment. The system ensures data integrity and provides unlimited licenses that allow access to more than 2,000 users, making consistent information available from a single source. More than 70 processes, including right-of-way acquisition, utility management, project management and costs and contracts, are automated within the system, with more to come. The software holds records for 440 ongoing projects. Reporting is automated, allowing users to subscribe to the reports they need and to assign the frequency of report delivery. Automation also has sped up processes. For example, contractors regularly add new subs to the capital program under the Tollway’s A15 subcontractor approval system. Since that process was added to the construction management software, approvals that previously required two to three weeks now take place in a matter of hours. Supporting the Tollway’s goal to go paperless by 2019, the system has minimized the massive volume of paper typical in a mega capital program. Far fewer man-hours are required to physically route hard-copy documents to multiple reviewers. Professional services invoicing alone, now managed through the web-based platform, has eliminated invoices that were sometimes 6 in. thick. The Tollway already has seen a seven-figure improvement in paper savings. The software allows the Tollway to remain nimble, with new processes added regularly based on freshly identified needs. When a construction site accident led to the Tollway’s request for a more structured review of demolition and erection plans, for instance, those who needed to have input met quickly, and the newly minted process was developed, set up in the system, tested and rolled out within 48 hours. Among the greatest benefits to the Tollway is the automation of release of retainage, Bedalov said. Tollway officials credit a new management system with introducing efficiencies and savings into ops and planning. The system in place previously was not popular with Tollway personnel or its project partners, so prospective users were cynical about any platform’s potential to become a more useful resource. HNTB fast-tracked rollout of the new system’s implementation, intentionally replacing the functionality of the old tool first to help users become comfortable with the processes they already knew. A dozen processes were live within just five weeks. Users quickly recognized that a web-based system chosen to fit the program’s needs could be an effective tool, Hoagland said. With that understanding, they became very receptive to the addition of new processes they had not used before. “Users now come to us with ideas for processes we haven’t even thought about,” she said. Without restriction, every organization with a role on the Tollway, including contractors and subcontractors, is welcome on the system. HNTB maintains the system with a three-person team that provides in-house training and support to answer questions and provide repeat training as needed. 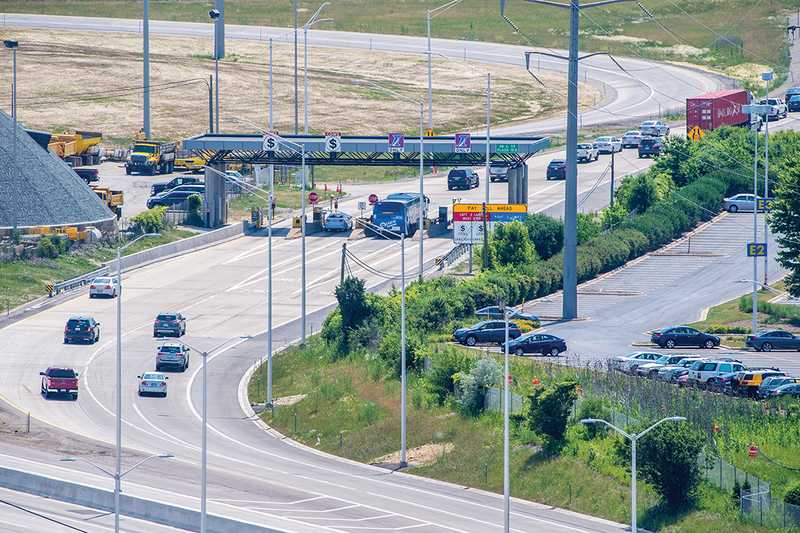 No off-the-shelf tool will provide every function a massive capital program needs, but Arman said steps have been taken to make the Tollway’s new system fit Move Illinois’ enormous requirements as much as possible. Offer in-house support and training. Dedicate on-site staff or consultants who can customize your system, configure new processes and provide ongoing training. The Move Illinois team fields user questions, conducts at least two training sessions each week and develops videos and WebEx seminars that allow users to learn about processes when it is convenient for them. The team also distributes a bi-weekly, web-based newsletter that announces new or closed projects, communicates changes in processes and provides tips and tricks for getting the most from the system. Parker is a freelance journalist.